None of this solves the problem of how to get from D’Olier St/Pearse St to the Nassau Street area and, arguably, makes it even more dangerous for people trying to cycle to Dame St.
You would like to hope that Dublin City Council at least consulted with Cyclist.ie / the Dublin Cycling Campaign or I Bike Dublin before investing in these changes – but that is clearly not the case. 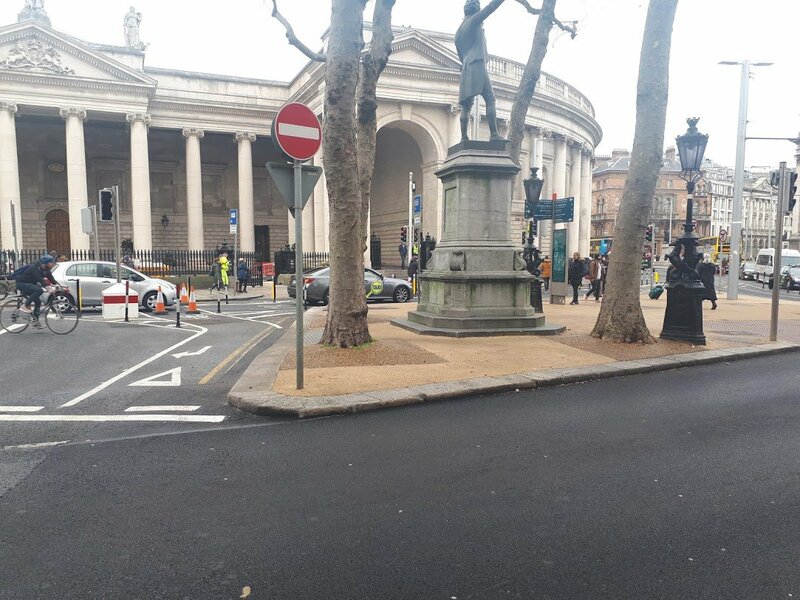 And I know that this is probably a temporary situation pending completion of the College Green Plaza but we also know that it is going to be some considerable time before that project comes to fruition. 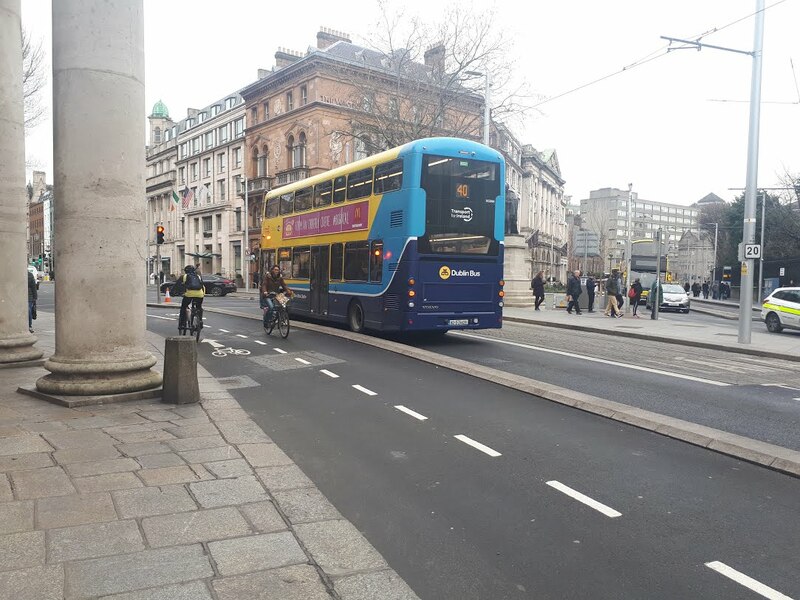 And this makes me even more concerned about the council’s capacity to deliver good quality, safe cycling infrastructure as part of the College Green plaza project. 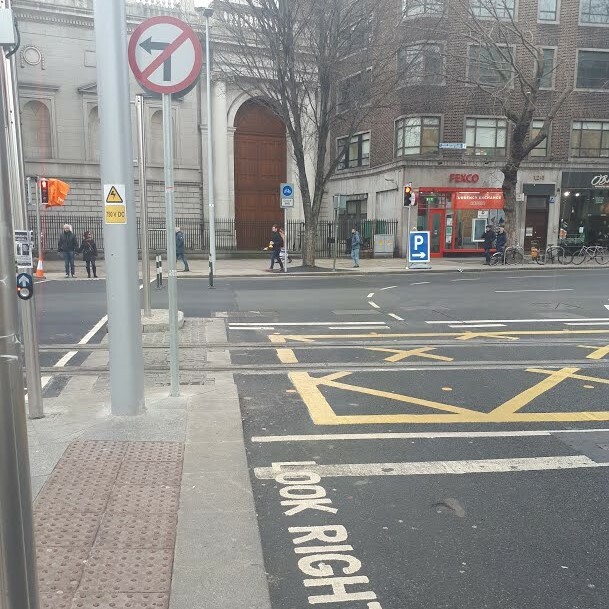 Remove ‘Cyclists Dismount’ signs – they’re pointless. 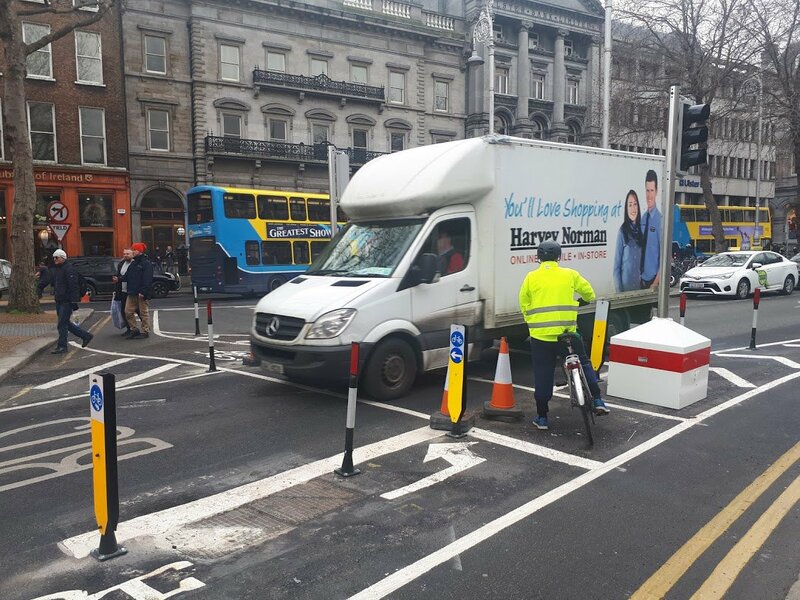 Educate vehicle drivers – Give cyclists space, don’t tailgate. Fast-track alternative segregated cycling routes on parallel streets. But the council doesn’t seem to hear. 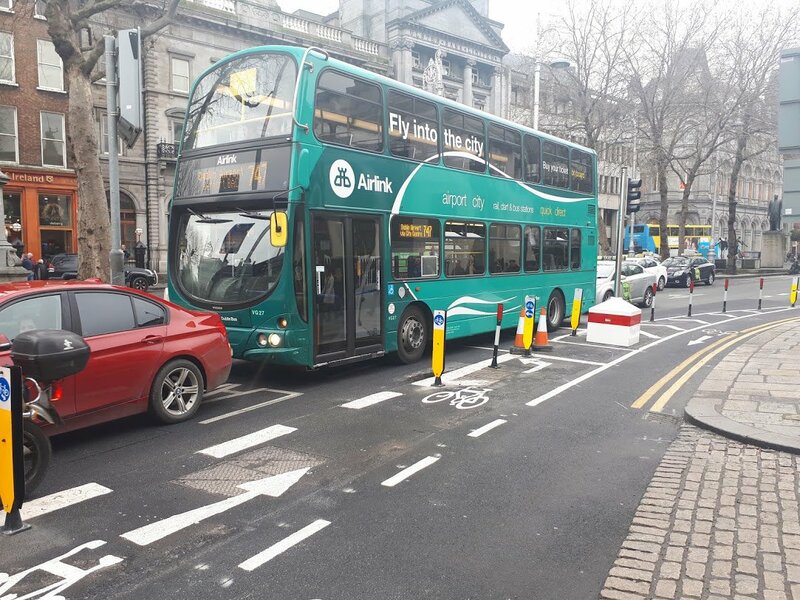 Ciarán Ferrie is a member of I Bike Dublin. This article was adapted, with permission, from a Twitter thread. It looks like it’s still being built? there are cones blocking it..
Julie, why don’t the council seek the advise of the cycling groups? When they go it alone, they design infrastructure nobody uses and just waste their time and money. 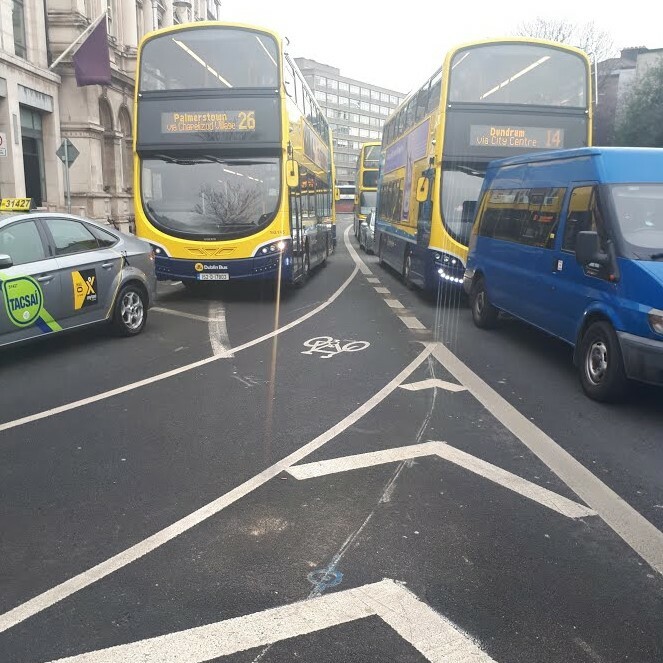 If the new lanes are confusing, people will not use them and back to square one. While it’s far from perfect, I’m sure many people will welcome it as an alternative to having to cross tracks in the middle of the road with trams and buses around.